What is "Being a Host"? Some things you know you need. Some things you don’t know you need. If you’re going to set aside 2 hours to orchestrate a conversation with strangers on some regular basis, you might as well take a few extra minutes to do it well. The difference between a tea time that “was all right” and tea times that are “wow, just, wow” isn’t some sort of fairy dust. It’s easy to pin it on the attendees or chance, but to a large extent, it’s on how the host shows up. 👋🏽 Founder of Tea With Strangers. I try to help people who bring people together. 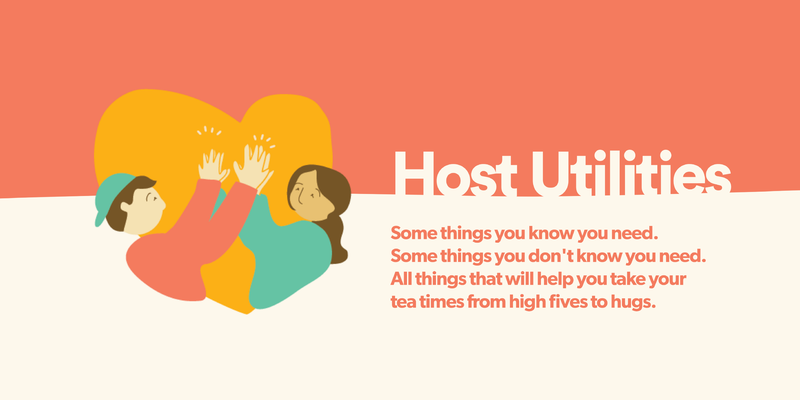 Being a Host is a place where we offer food-for-thought, reflect on ourselves, and share resources to bring Tea With Strangers to life.